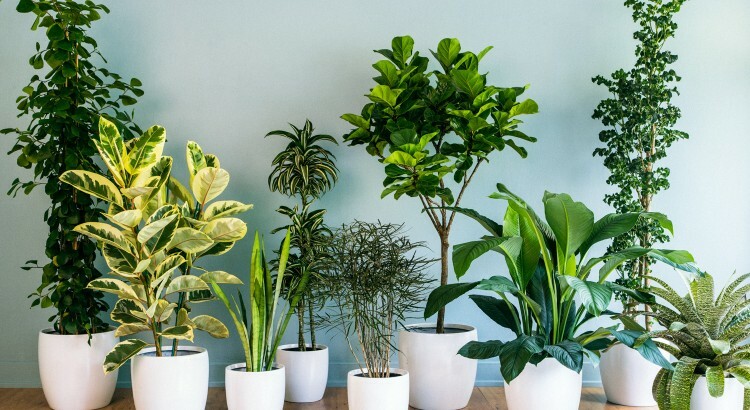 For anyone who is in the midst of busy school holidays or perhaps is considering a summer getaway, sometimes your indoor and outdoor plants can get overlooked. Australian summers hit hard, so a few hot days can turn your beloved garden into a graveyard if you are ill-prepared. Many people do not know their neighbours well because we so often live busy lives so we often have to think of alternatives when we are planning a sojourn. 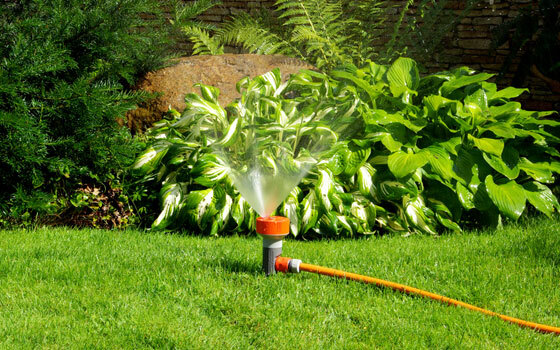 For anyone with a fairly established garden, it stands to reason that they will also have an existing irrigation system of some description. 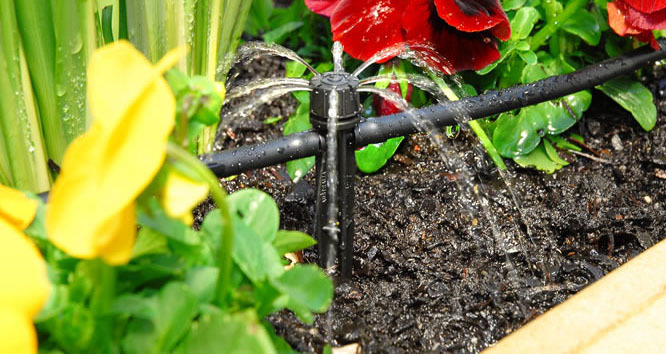 Irrigation systems are an effective watering method as they are often set up with a sensor, and/or timer so that the watering can be achieved without your input. This obviously takes some level of stress away when taking a lengthy break. But for those with collections of pot plants, whether indoor or outdoor, an irrigation system just wont work. First and foremost, be sure to fill any saucers, but if you are still left short, check out some of our other ideas below. If you have the option to, call a friend. Someone dropping in every few days, or twice a week keeping an eye on your plants is probably the best way to get them through the holidays. Pot plants have a limited surface area and soil volume, so cannot retain a large quantity of water. Throw in a few hot days and the water will quickly evaporate leaving the plant dry and desperate. Some plant varieties do not respond well to being dried out, so even when you water them a few days later, they will not revive. If you have a bath, I would suggest moving your pot plants into the bathroom which is considerably cooler, and filling the bath tub up approximately 2-4cm. The bathtub will act as a humongous saucer, and the plants will drink as they like/need. The same can be done in any large sinks throughout the house/kitchen/laundry. Alternatively, if you do not have a bathtub or large sink available to you, you should create a water reservoir. 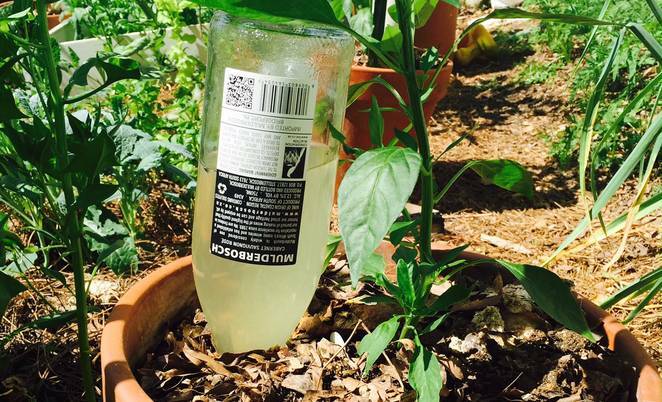 There are numerous products on the market for you to buy, but you can easily create one for yourself from a recycled bottle. 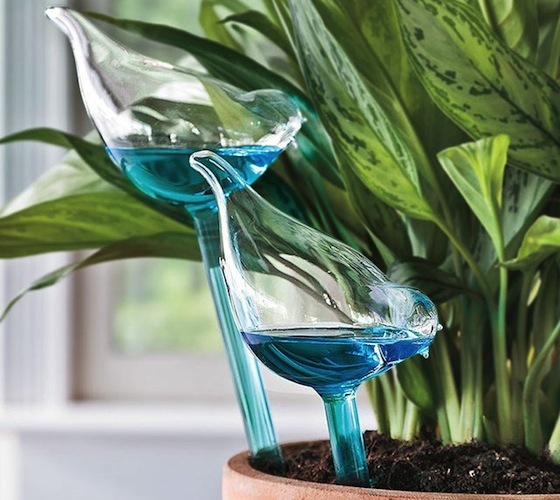 The basic premise of any of the ‘ready-to-use’ products on the market is that when the soil dries out around the spike it will slowly allow water to trickle down to hydrate the plant. They are generally made from a porous material such a terracotta. Some people may remember their parents burying unglazed terracotta pots in their garden and filling them with water as a rather archaic irrigation system based on the same concept. 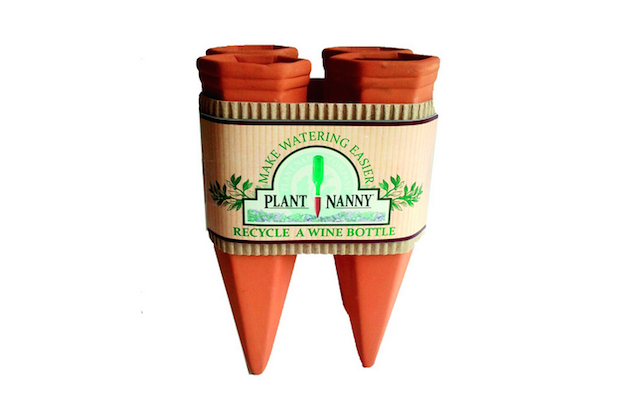 These days concepts such as ‘The Plant Nanny’ exist; terracotta spikes that can be used with any of your recycled bottles. 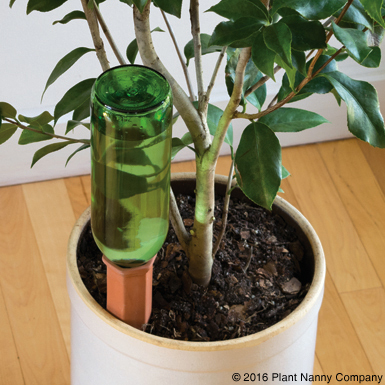 Simply attach either a wine or plastic bottle to the top of the spike and inset into your pot. Sure, this kind of concept won’t keep your pot plant going for weeks on end, but if you are only enjoying a week away, or can manage to wrangle friends or family to check in and refill on the weekend, you should be right. Hope everyone had a gorgeous Christmas and is enjoying the start to 2017. For anyone venturing far from home, drive carefully; make sure you get to enjoy that holiday you so deserve.